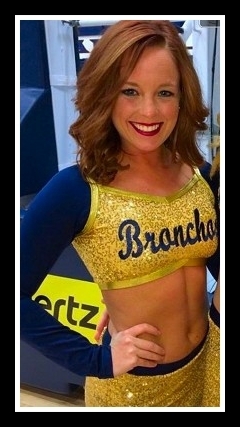 Abby Cash is a Dance Performance graduate of the University of Central Oklahoma. While in Oklahoma Abby performed in the Kaleidoscope Dance Company under Tina Kambour as well as the American Spirit Dance Company directed by Jo Rowan. Abby has toured the country teaching for the Universal Dance Association as well as teaching various styles at local studios in Oklahoma City. Before her recent move to Florida she played Teresita in Lyric theater's summer production of West Side Story directed by Matthew Gardiner. Abby is currently seeing the world as a production dancer for the Regent Seven Seas Luxury Cruise Lines. Alex Leonard is a seasoned performer who has been dancing for over 15 years. She began competing at age 10 and became a student of Bethany’s in 2006. Upon the opening of BC Dance, Alex became an assistant teacher and senior company member in 2010. In her years of competing, under Mrs. Cavinder Cox, Alex won numerous awards and scholarships such as the Go Pro Intensive Scholarship, and 1st overall soloist. She has performed across the country in productions from Branson to New York City. She is veteran in the pageant circuit, winning titles such as Miss Southeast Oklahoma’s Outstanding Teen, and has competed in the Miss teen Oklahoma pageant. Alex was a founding member and captain of her high school dance team and in her senior year was awarded numerous dance scholarships to schools such as Oklahoma City University and the University of Central Oklahoma. Alex graduated from Idabel High School in 2012 as an honor graduate and has continued dancing since relocating to the OKC metro area. Collegiately, she was a member of the Sooner Dance Company, as well as won awards for her choreography and performance in the University of Oklahoma’s legendary University Sing. Alex began choreographing as well as judging several talent shows and pageants in the last two years. Currently, Alex is a member of the University of Central Oklahoma dance team under the direction of nationally recognized coaches Lindsay Doescher and Emily Carter Shock. Alex currently resides in Edmond, Oklahoma and is a sophomore at UCO. She is majoring in Public Relations and Organizational Communication. She hopes to continue performing, teaching, and choreographing and is excited to be a part of BC Dance as an alumni. Jessica Vickers started dancing at 2 years old. When she first set her pink ballet shoes on the stage, she knew it was her calling. The stage was simply where she wanted to be. When she turned 12, she decided she would use her passion for dance for an even larger purpose, bringing a non-profit organization called "Dancers Against Cancer" to Texarkana. Jessica has raised funds for breast cancer awareness through DAC for the past 6 years, raising about $20,000 to date. Jessica has been dancing for 18 years, competitively for 8. 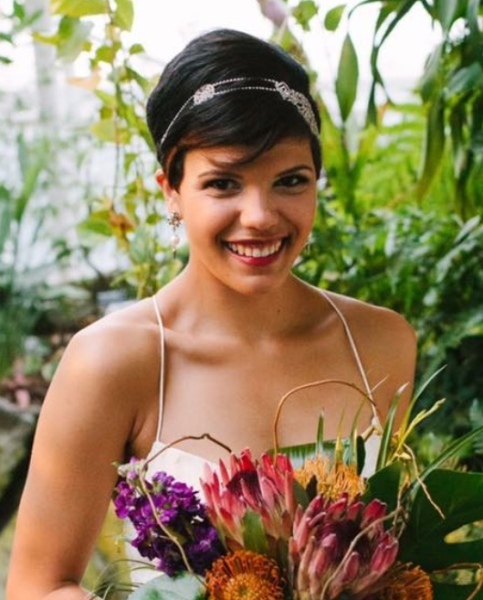 In 2013, at the age of 19 she decided to form her own non-profit "City Hearts," and continue using the performing arts to raise funds for cancer awareness. Throughout her years of dance she has received numerous awards, as well as pageant and recognition awards. Jessica was a TOP Starz dancer for Talent On Parade Nationals, has been nominated twice as a Go Pro Dancer, in 2009 and 2014. She received a Jazz scholarship at the prominent NUVO competition and convention in Dallas, Texas this past year. Just recently, Jessica was selected as a Dancer of the Year Finalist at Celebration Talent.